Israel has been closely monitoring Iran’s long-range cruise missile program. Officials said the intelligence community has been examining Iran’s efforts to develop and produce a long-range cruise missile. They said the missile could fly under the radar of most regional states and change the balance of power in the Middle East. «This is an extremely serious danger,» Israel Aerospace Industries chairman Yair Shamir said. 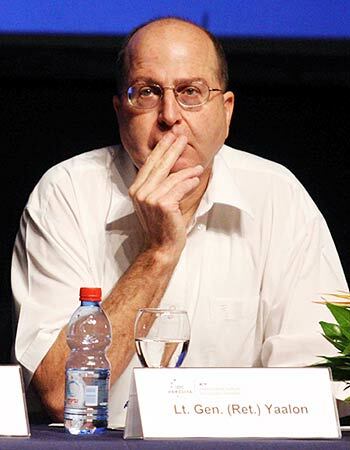 Shamir, head of Israel’s largest defense contractor, identified the Iranian program as the KH-55 cruise missile. The missile, supplied to Teheran by Ukraine around 2006, was being enhanced by Iran’s Defense Ministry. In an address to Israel’s first multi-national ballistic missile defense conference on May 5, Shamir said Iran sought to extend the range of the missile beyond 2,500 kilometers. He said Iran also was developing an air-launched version of KH-55. Tal Inbar, a director at the Fisher Institute for Air and Space Strategic Studies, said Iran received at least 12 K-55s from Ukraine. Inbar, who works closely with the Israel Air Force, said Iran has already displayed a cruise missile that resembled that of the U.S.-origin Tomahawk. «It’s purpose remains unclear,» Inbar said. Officials said KH-55 represents a growing Iranian capability to significantly enhance foreign missile systems. They cited Teheran’s success in extending the range of the North Korean No Dong missile from 1,300 kilometers to that of at least 2,100 kilometers under the Shihab-3ER program. «There have been significant developments on the part of Iran,» said Arieh Herzog, director of the Defense Ministry’s Israel Missile Defense Organization. «As far as I’m concerned, attack remains the best form of defense,» he said. השר גם קשר את האיום האיראני למאבק נגד חמאס ברצועת עזה וחיזבאללה בלבנון. «כשמסתכלים על כל המכלול אין לי שום ספק שאנחנו כבר נמצאים בעימות צבאי עם איראן».